At the risk of further ratting myself out as a kit basher or doll maker here's another impulse project. This little person head came extra with a Billiken vinyl Saucer Man model - supposedly depicting an actor who wore one of the Saucer Man costumes in the old movie. 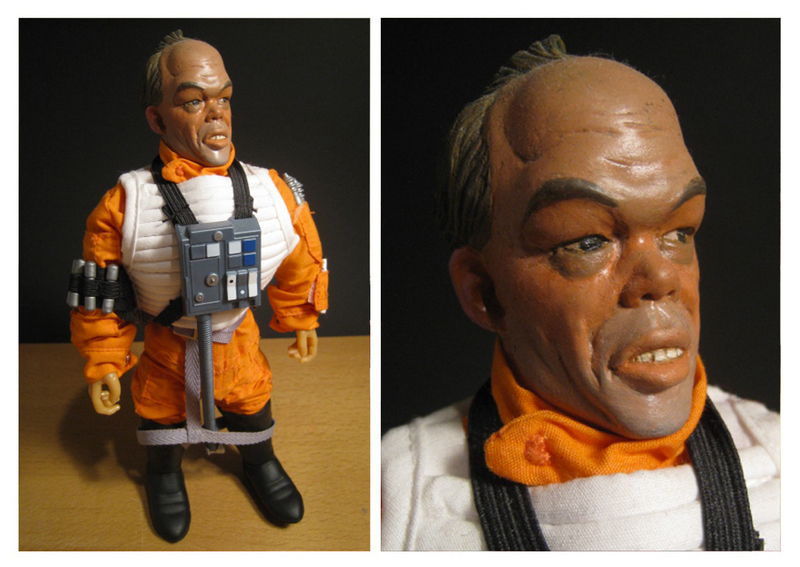 I painted the head with acrylics, cut down the limbs on a reissued Captain Action body to give him the right proportions and used the X-Wing pilot costume from a cheap Hasbro 12 inch Luke Skywalker. The whole thing didn't take more than an evening. If it had it probably wouldn't have been finished, and isn't it a much better world to have such things in it?..... Well...?